25948 miles. 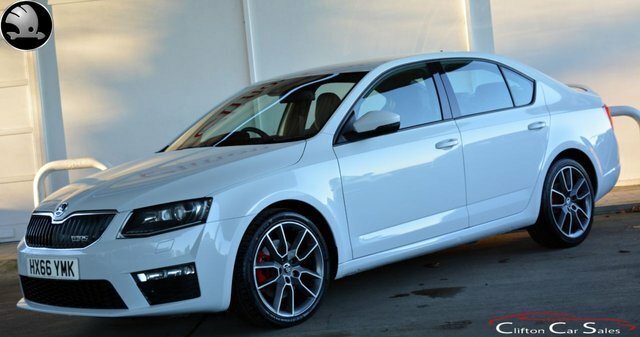 Brilliant Silver metallic with Black VRS sport cloth/leather interior. Specification: Touch-screen colour navigation system, 18 inch alloy wheels, rear park pilot, digital climate control, cruise control, LED daytime running lights with xenon headlamps, DAB digital radio, bluetooth media with wireless streaming, rear boot spoiler, twin exhaust pipes and more. One owner from new with full Skoda main dealer service history and covered by Skoda manufacturers warranty to March 2020. Original handbook pack and two remote keys. Fabulous throughout, sensational to drive and only £30 annual road tax too. 20389 miles. 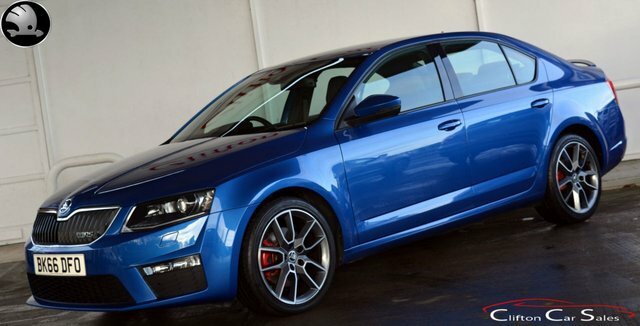 Race Blue metallic with Black VRS sport cloth/leather interior. Specification: Touch-screen colour navigation system, 18 inch alloy wheels, rear park pilot, digital climate control, cruise control, LED daytime running lights with xenon headlamps, DAB digital radio, bluetooth media with wireless streaming, rear boot spoiler, twin exhaust pipes and more. One owner from new and covered by Skoda manufacturers warranty to September 2019. Original handbook pack and two remote keys. Fabulous throughout, sensational to drive and only £30 annual road tax too. 44605 miles. Brilliant Silver metallic with full Black leather interior. Specification: Touch-screen colour navigation system, bluetooth interface, electrically operated and heated front seats with 3-position driver memory, DAB digital radio, LED daytime running lights with xenon headlamps, rear acoustic parking, privacy glass, multi-function steering wheel, 18 inch alloy wheels and more. One owner from new with full service history (3 digital records) and both serviced and MOT'd on arrival. Original handbook pack and two remote keys. 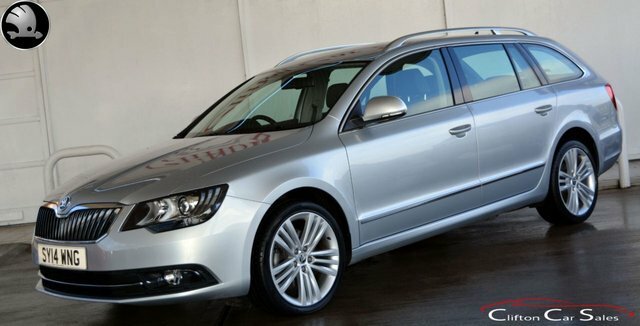 Get a great deal on a used Skoda for sale in Morpeth when you come to Clifton Car Sales. Pay us a visit today to browse the latest range of pre-owned Skoda models available, from economical hatchbacks through to executive saloons and crossovers with character. Find yourself behind the wheel of a used Skoda Citigo and find out how much fun you can have in the urban playground. Alternatively, discover whether the Skoda Yeti with its sturdy looks and practical nature is the car for you. View our complete line-up of used Skoda models for sale in Morpeth here on the website and feel free to contact the team to find out more.